PARTNER NEWS: NXP has unveiled two new NFC products — an improved “connected tag” range designed to add intelligent tap-and-go connectivity to just about any electronic device and the PN7462 family of single chip NFC reader solutions that combine a microprocessor with USB, contact and contactless interfaces. The Ntag I2C Plus range is the latest branch of the company’s connected tag family and combines a passive NFC interface with a contact I2C interface to connect to the host device. The NFC Forum Type 2 tags deliver faster data transfer and include advanced features for password protection, full memory-access configuration from both interfaces and an ECC based originality signature for protection against cloning. The PN7462 family, meanwhile, is specifically designed for use in readers in applications including corporate access, hospitality or home banking. The chip supports the complete Mifare product portfolio and comes with an NFC Forum and EMVCo 2.5 compliant software library, says NXP, and also features the company’s Dynamic Power Control system “to ensure robust communication even in harsh environments”. NTAG I2C Plus is available now through NXP distributors, while the PN7462 family is expected to enter mass production in April 2016. 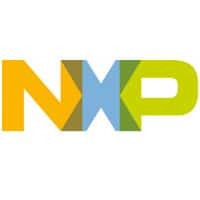 Nuremburg, Germany (Business Wire), 23 February 2016 — NXP Semiconductors N.V. (NASDAQ: NXPI) today announced how its near field communication (NFC) solutions can drive innovation for embedded systems designs in smart home, access management and home banking as part of the company’s vision to drive a new era in NFC. The company released its NTAG I²C plus, which extends the family of connected tag solutions that combines passive NFC with I²C interfaces well known for enabling NFC commissioning, simple “tap-to-connect” communications between smart devices to the home network. The new tags deliver four times higher data transfer performance, while adding new, advanced features for password protection, full memory-access configuration from both interfaces, and an ECC based originality signature for protection against cloning. At Embedded World 2016, NXP also introduces the PN7462, a highly integrated family of single-chip solutions that combine low power ARM® Cortex®-M0 microcontroller core, USB, a contact and contactless interface with full NFC support and capabilities. The PN7462 family is specifically designed for applications like corporate access, hospitality or home banking as it integrates a myriad of technologies, supports the complete Mifare product portfolio and comes with an NFC Forum and EMVCo 2.5 compliant software library. To further support quick product development and certification, the PN7462 family features Dynamic Power Control (DPC), invented by NXP, to ensure robust communication even in harsh environments. NTAG I²C plus and the PN7462 family combined with the recently launched PN5180 frontend, are an important part of NXP’s strategy to enable the industry to develop and deliver compelling NFC use cases for smarter and more secure connections. NXP’s NFC solutions will be demonstrated at Embedded World 2016 at the NXP booth# 4A-220. NXP will also demonstrate the NFC-enabled NHS31XX solutions that marked NXP’s first move into the smart pharma sector for cold chain monitoring and therapy adherence. NTAG I²C plus is released and fully available through all major NXP distributors. The PN7462 family is expected to be available for mass production at April 2016.